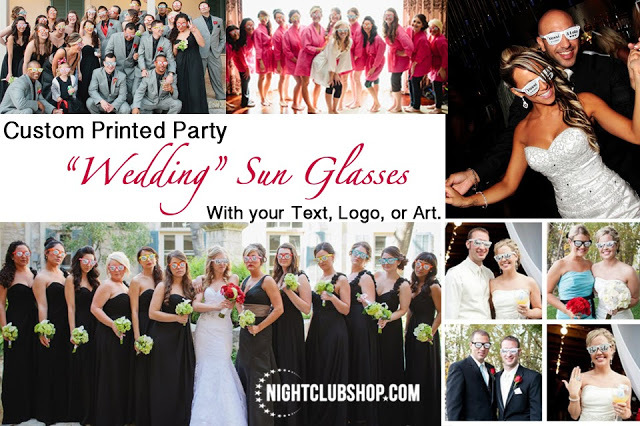 Check out our Wedding Line, or Wedding Packages that start at 20 Units, or 20 Custom Printed Sunglasses, and our Wedding Bulk Packages go up in quantities, as well as do our online discounts and Wholesale Bulk Rates. 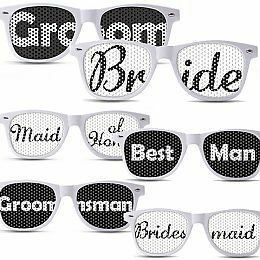 These 20 Sun Glasses can come in either Pre-Printed Wedding Designs of your choice, or you can have 1 or 2 Different designs done on all 20 SunGlasses for you by our Graphics designers at no extra charge. We can put your name and your Wedding Date, initials, slogan, etc. 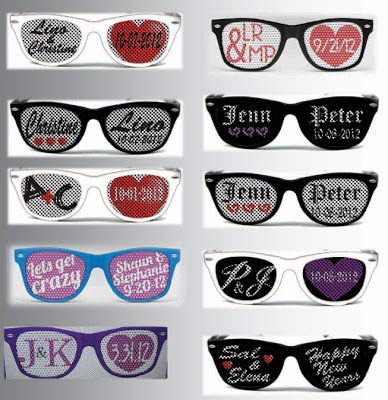 and customize the glasses with your Art.